In my opinion, the most interesting (and entertaining) story in equity markets is the current Herbalife story. Herbalife is a US based producer and distributor of diet shakes, vitamin pills etc. Herbalife went public in December 2004 at a price of 14 USD per share. Including a stock split, the stock returned a phenomenal return of ~ 30% p.a. until the end of 2011. Earnings per share rose more than 10-fold from 0.47 USD per share to more than 4.80 USD in 2011. During the “financial crisis”, the stock suffered but then quickly went back into outperformance mode. The first “crack” in the success story appeared, when David Einhorn personally dialed into the conference call on May 1st 2012 for the first quarter and started to ask some weird questions. Two weeks later, when Einhorn spoke at the annual Ira Son conference, the stock bounced back 20% because Einhorn didn’t mention Herbalife. So far I didn’t find out if Einhorn is still short. 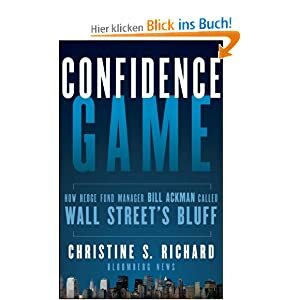 However, pretty soon after his presentation, some quite savvy investors and bloggers pointed out some weaknesses in Ackman’s presentation, especially the claim that the Herbalife “scheme” is illegal and the US regulators will have to shut the company down. One of the first was blogger Kid Dynamite and one of my personal favouritesm, blogger and hedge fund manager John Hempton. Like sharks smelling blood, some other “famous” hedgefund managers joined the party, most notably Dan Loeb’s Third point which actually took a massive 8% long position in the company. Yesterday, even “activist” legend Carl Icahn came out swinging against Ackman, disclosing a long position in Herbalife. On the one side, we have some of the brightest “new generation” HF managers David Einhorn and Bill Ackman against well respected “activists” like Dan Loeb and Carl Icahn as well as extremely clever bloggers like Kid Dynamite and John Hempton. Last Thursday, Herbalife held an investor day, trying to take on Ackman’s acusations. I found the Herbalife presentation rather unconvincing. If you are not a famous investor who can move markets with a presentation, STAY OUT OF THIS !!!!! The Herbalife story is the proverbial “hot potato” investment one should just enjoy and watch (and learn) instead of joining. Personally, I think that Loeb and Icahn are only in for the quick rebound and long term Ackman will most likely come out with a nice profit, but I wouldn’t really bet on this, as you might be killed (or squeezed) in the meantime. So get your popcorn, lean back and enjoy !!! P.S. : For anyone more deeply interested in “multilevel marketingg companies”, there is a very good detailed post at Seeking Alpha. ja, aber Icahn ist ja einer der gerne bellt und selten beisst. Dr Kurs ging zwar fast 20% in die Höhe, aber am Tagesende war alles wieder weg. Ich denke das Herbalife verlieren wird. Ackman hat sehr geschickt das ganze sehr medial aufgebaut. Somit ist der Ruf von Herbalife nachhaltig geschädigt. In einem Multi Level Business ist der Ruf eines Unternehmens immens wichtig. Normalerweise ist es so, dass in diesem Geschäftsbereich die Vertreter einen miserablen Ruf haben, aber das Unternehmen durch geschicktes Marketing seinen Ruf im positiven erscheinen lässt. Hier wurde aber bewusst in die Schiene “Betrug” gesteuert um den Ruf dieser Fa. zu schädigen und somit auch die Kunden zu verängstigen. The more publicity, the better for Ackman’s case. I think this will increase political pressure to act. 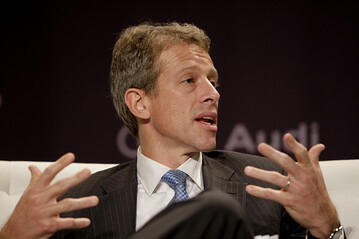 Whitney Tilson in my opinion is a “follower” who voices ideas that have been floating around amongst the hedgies , sometime exactly at the wrong time. I personally would love to see Ackman getting killed in this short. For one thing, I agree that the assertion that HLF business model is illegal (it is a pyramid scheme but that is not necessarily illegal) is most likel wrong and most importantly, it is unlikely that the government will go after HLF in due time, imo.I think john Hampton’s logic on this stock is more convincing. Hmm, seeing ackman being killed is actually not my intention. AS i said, long term he will most likely Make money in This. Imho, he has a much longer time horizon than his opponents. No possibility to join the party with leaps? excuse my ignorance…but who is the guy in the photo?